The U.S. Department of Energy (DOE) has announced University of Central Florida from Orlando, Florida as the national winner of DOE’s 2018 CyberForce Competition™. Sponsored by DOE’s Office of Cybersecurity, Energy Security, and Emergency Response (CESER), the CyberForce Competition is DOE’s fourth cyber defense competition designed to develop the next generation of cybersecurity professionals to help defend and bolster our nation’s critical energy infrastructure and ensure our energy security. 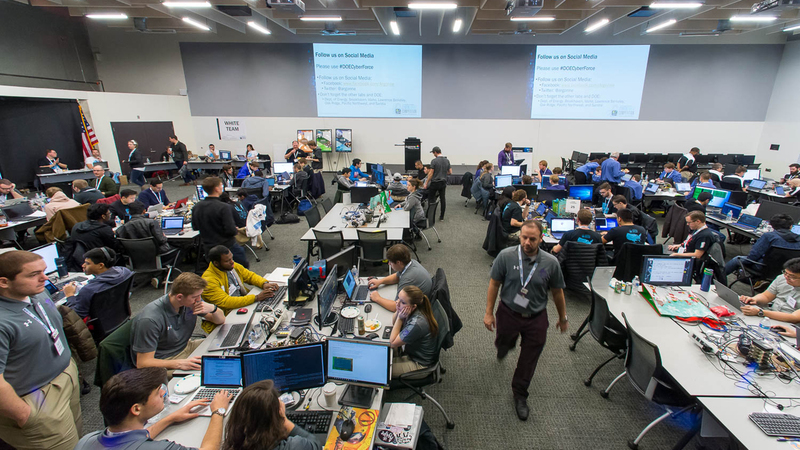 The CyberForce Competition challenged college and university students with defending a simulated oil transportation network, a power delivery system, and a high-performance computing system against attacks by experts at the National Labs, the private sector, and the National Guard. The challenge was augmented by anomalies and constraints designed to replicate those commonly found in real-world systems. The U.S. Department of Energy (DOE) will host its fourth collegiate CyberForce Competition™ on December 1.